chest: 40", 42.5", 47.5", 50.5"
Design does not specify a particular yarn, just worsted (medium weight) yarn. 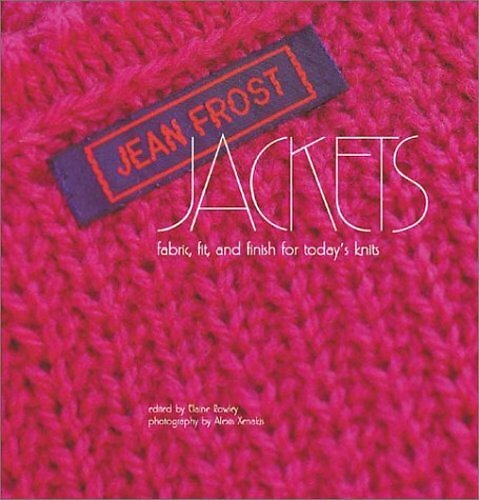 Frost shows this cardigan using the waffle side face of the Rice stitch. However, the stitch pattern section at the end of the book shows both the waffle side and the ribbed side, and says that you can use either. Errata: The pattern calls for a 4 mm/US F crochet hook, but a 4 mm hook (like the size of the knitting needle) would actually be size G.